I installed a low cost Arca-Swiss style clamp on my Ray-Vin spotting scope stand’s head and was looking for an Arca-Swiss style plate to put on my Kowa 821M spotting scope in order to interface with it. 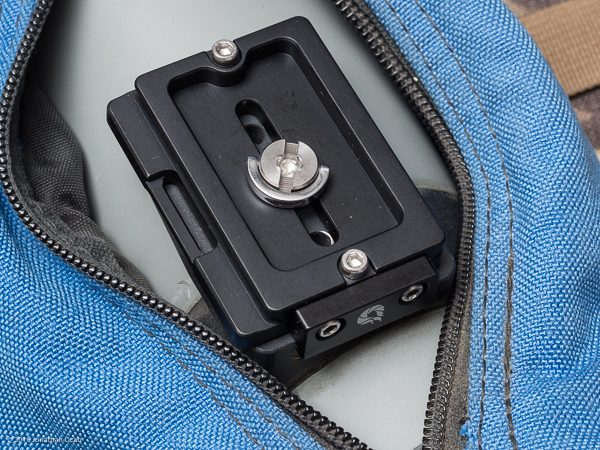 Photographers will understand that Arca-Swiss plates and clamps tend to run on the more expensive side especially when compared to the Manfrotto RC2 system, but Arca-Swiss clamps end up being more secure (and a more universal system). There are plenty of lower cost Arca-Swiss compatible plates out there, but I came across one made by Breakthrough Photography. The Breakthrough Photography Arca-Type Quick Release Plate looked enticing in photos and price ($15 USD), so I picked one up. The one specific characteristic I wanted in an Arca compatible plate for my Kowa 821M is some sort of anti-rotation feature. For those that don’t know the application, my Kowa 821M spotting scope is used on a scope stand designed for position shooting. 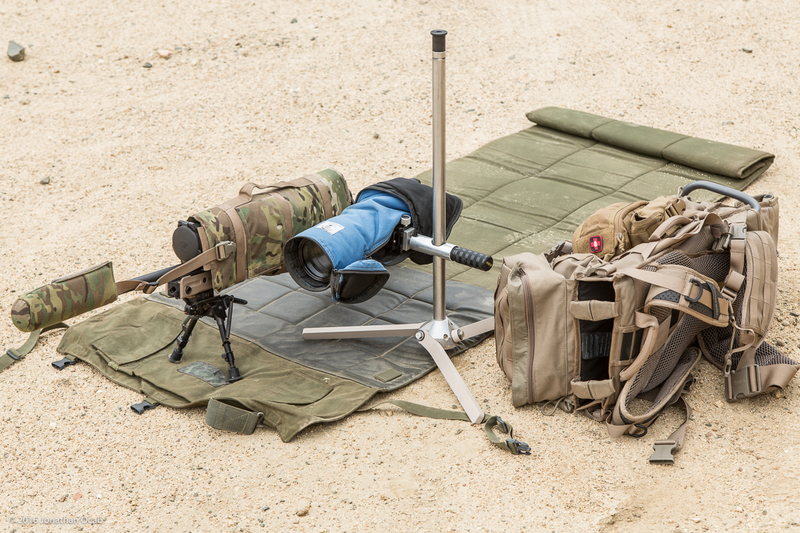 I will often make minor adjustments to the scope position once in position (e.g. prone) with one hand after it is in place. When I do this, sometimes the scope will actually rotate on the thread mount to the scope head (direct mount, not on quick-release), as opposed to rotating the scope head itself. An anti-rotation mechanism will be highly beneficial to mitigate the possibility of the scope body from unthreading off the plate itself. 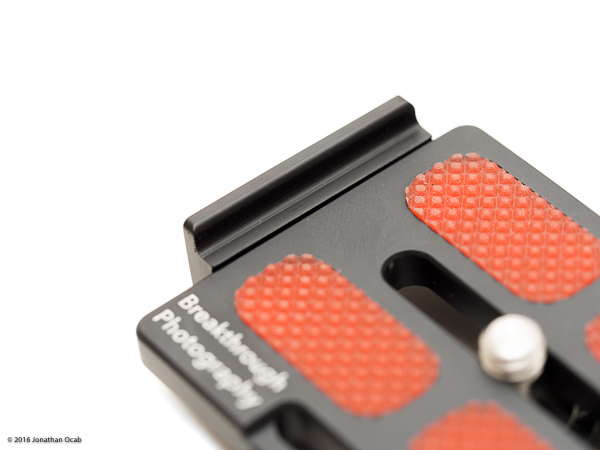 The Breakthrough Photography plate indeed has an anti-rotation feature built-in to the plate, and is machined out of stainless steel. If needed, the anti-rotation piece can be removed from the plate by virtue of two hex cap screws. The bottom of the plate shows two hex cap screws that act as plate stops which is a feature found on higher end Arca-Swiss compatible plates to prevent the mounted unit from sliding off the clamp before it is completely tightened down. As you can see in the above photos, it also has a camera strap loop built-in, so if you use a shoulder or hand strap, you have another strap mount point. It also has a 1/4″-20 screw that can be hex, coin, or hand tightened, which is perfect for all types of scenarios. This specific plate fits like a glove on my Kowa 821M spotting scope. 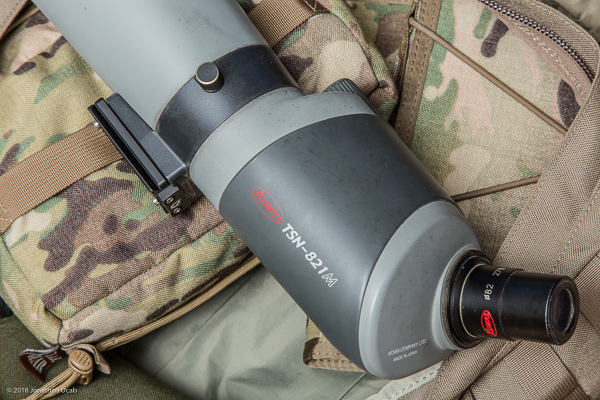 As you can see below, the anti-rotation lip/ledge runs perfectly against the Kowa spotting scope mount point. 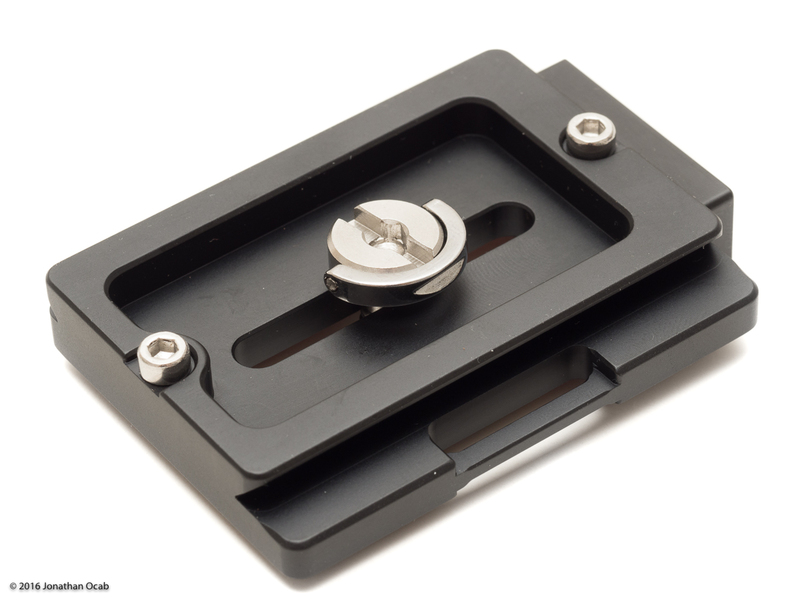 The Breakthrough Photography Arca-Type Quick Release plate is meant to be a universal plate for a wide-variety of optics or other tripod mountable devices, but I think it is an ideal plate for foot mount like on my spotting scope or on large camera lenses (e.g. Canon EF 70-200 f/2.8L IS II). I actually have a Really Right Stuff L-84 plate on my 70-200 f/2.8L IS II. While I have nothing but praise for the quality of RRS equipment, the L-84 plate did run $55 USD, while the Breakthrough Photography plate is only $15 USD. 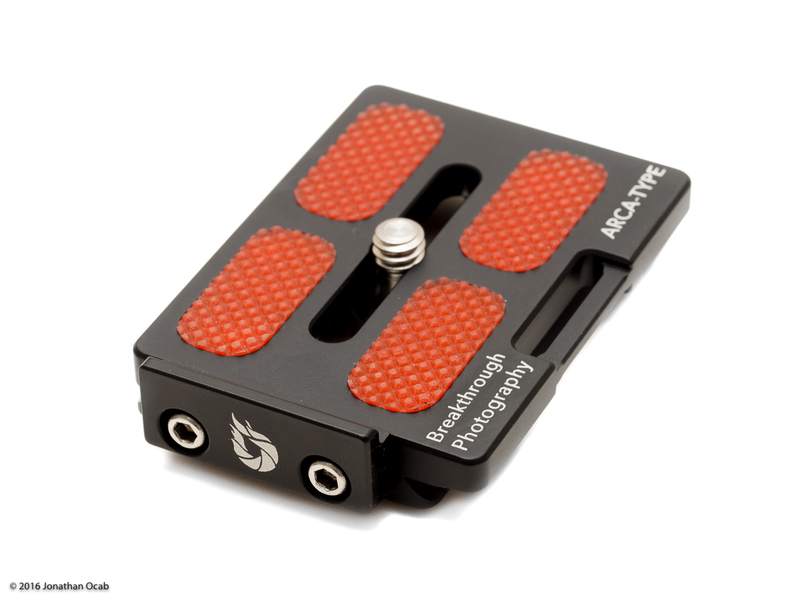 Given the comparatively low price of the Breakthrough Photography Arca-Type Quick Release plate and the apparently quality of the construction and design, I would highly recommend this plate for anyone that uses Arca-Swiss compatible clamps and needs additional plates for other units to be mounted. Where’d you get the tripod shown in the last photo? Thanks! http://www.ray-vin.com/ The one I own has been discontinued / redesigned. Ray-Vin has more options now, too. Mine was originally a 48″ tall stand, but I converted it to a 24″ shaft for prone use only.